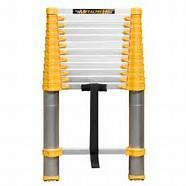 This 12.5 Telescopic ladder is a metaltech design for a more compact and easy to carry extended ladder. 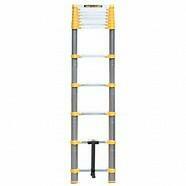 The easy to use lock system is adjustable per rung to every 1' up to 12.5'.This ladder was designed with safety in mind with features such as a No-Pinch closure system, as well as a red/green tab indicators that let you know when the rungs are locked safely in place and the ladder is ready to climb. An angled thumb release ensures proper hand positioning and the ergonomic design allows for smooth operation. The top rung has non-slip end caps that help keep it firmly in place. 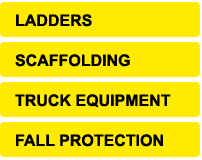 Meets CSA and OSHA Requirements.